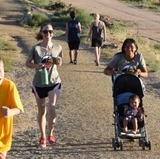 University of New Mexico Ph.D. student Michelle Martin has always had a rich love of history. She studied the subject for both her undergraduate and graduate degrees and is now continuing her academic work at UNM. But, the road she took to becoming a Lobo was far from typical and has opened doors she never imagined. Martin was recently named to the Board of Advisors for the new television series "Out West with Deb", which will originally air on local PBS affiliates in Kansas as well as online. The series, featuring historian and author Debra Goodrich, looks at the history of the American West from its earliest settlement to the present and features the people, places, and events that have made the American West famous and infamous. 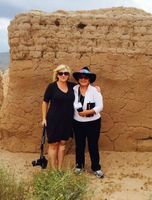 Michelle Martin and Debra Goodrich visit Fort Selden Historic Site near Las Cruces, New Mexico. As a historical advisor on the board, Martin will assist with episode content research and production while she continues to work toward her Ph.D. at UNM. She said her local access to historical archives in Santa Fe and at the University will prove to be very helpful for any New Mexico connections the show explores. Working in media and television is far from new for Martin. Nearly 20 years ago, while spending time as a ‘living history’ reenactor in Kansas, Martin met veteran broadcast journalist Bill Kurtis while he was filming a show for the History Channel at the Mine Creek Battlefield State Historic Site. Martin worked with his production company to line up reenactors and find filming locations and continued to work with Kurtis on future productions. It was at that point Martin decided to take some time away from her tenure-track faculty position at Fort Scott Community College in Kansas and focus on starting her own company, Discovering History. 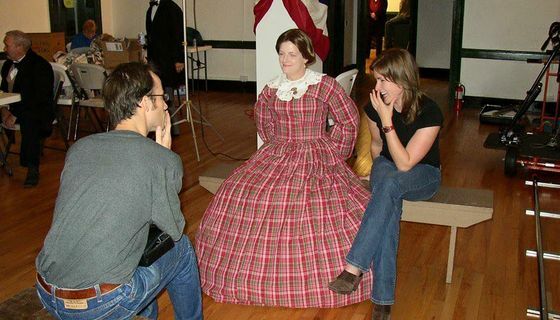 Michelle Martin portraying an 1840s officier’s wife at Fort Scott National Historic Site in Kansas. Over that time, Martin said she worked on nearly 40 different documentaries and TV shows as an on-screen reenactor in front of the camera, as part of production crews behind the scenes and in a research capacity. So, when Martin decided it was time to dive into a doctoral program, it was exactly that thinking that led her to UNM. The University of New Mexico is one of only four universities in the country to be a part of the American Historical Association-Mellon Career Diversity for Historians initiative. 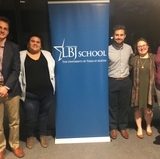 Along with UCLA, Columbia and the University of Chicago, UNM’s program is designed to show how history departments can train better future faculty members while also making sure graduates are prepared for high level careers outside academia. Martin said the AHA-Mellon initiative was one of the biggest deciding factors for her when she was looking at Ph.D. programs. She said in choosing UNM, she knew her nearly 18 years of work in the public history field would be valuable experience for her and valued within the department. Michelle Martin portraying Clarina Nichols for KTWU’s Sunflower Journeys on location at the Shawnee Indian Mission in Kansas. Martin is in her first year of her doctoral program studying American Indian-White relations in the 19th century west of the Mississippi in the Indian Territory (Oklahoma), but she plans to continue her work with TV shows like “Out West with Deb” and others throughout her time at UNM and work with other students to get them thinking and working outside academia. For more information on UNM’s career diversity initiative, visit the Department of History website.